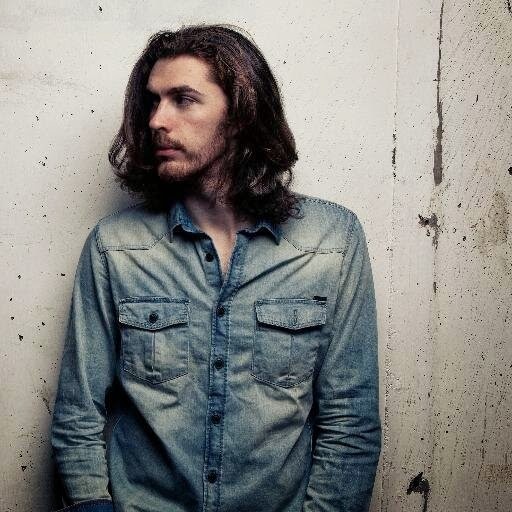 Irish singer-songwriter Hozier is taking the world by storm. His breakthrough single, “Take Me To Church,” steadily climbed charts and enchanted music listeners with its haunting beauty. His just-released debut album has already received nearly unanimous praise. The majority of his live shows are sold out – some of which are not even until next year. And yet, Hozier is soft-spoken and gracious, his speech peppered with an “erhm” here and there, talking about his music as though it simply fell into being one rainy afternoon. Perhaps it did. Hozier’s songwriting is natural, the narratives and tiny worlds created within each song cultivated organically and carefully. Hozier cites James Joyce and Oscar Wilde as influences on his songwriting, a craft that he started at age 15. Hozier said he likes to create tangible characters within his song- stories, which certainly helps craft the relatable nature of his album. Portrait of the Artist as a Young Man by James Joyce had a particularly large influence on Hozier, something he has honored with references within songs – particularly, “Angel of Small Death and the Codeine Scene” in the lyric “shaking the wings of their terrible youth,” a reference to the end of Joyce’s novel. Though the characters and themes within the prose Hozier admired influences his work, what the musician takes away from both Wilde and Joyce is a little more nuanced. It is also is interesting to note some of the songs off the self-titled album were recorded in an attic, simply a product of the circumstances at the time Hozier was working on the album. It was blues that became Hozier’s “first musical education,” something very evident in his music. He grew up listening to a lot of Chicago blues, eventually discovering different aspects of blues and gospel music. The singer-songwriter draws inspiration from prose and a wide array of genres, and even experimented a little with poetry during his teenage years. Hozier said he always knew he wanted to write lyrics. At sixteen, he began to shape songs with the help of a guitar, and did not look back. Now, the artist is touring all across the world, performing to sold-out audiences. Since May, Hozier has been on tour nearly non-stop. With such a demanding schedule, it is no surprise that Hozier fell ill in October, and was forced to cancel a string of shows because his body “simply gave out.” Luckily, he was still able to make it to the October 12 episode of Saturday Night Live as the musical guest. Though many viewers had probably not heard of Hozier before the show, after his performance, it is very unlikely they will be able to forget. His next stop on tour will be at a sold-out show in Los Angeles, where he hopes to give a live performance that “reflects the album as best it can.” The debut release certainly seems like it will play out well on stage, from the enormity of “Take Me To Church” to the subtle lushness of “Work Song,” to the blues-infused rock “It Will Come Back,” a track that is very capable of bringing the house down. After playing to sold-out audiences across the United States during October and November, Hozier will head to Ireland and Iceland. He will get to take maybe two weeks – and after that, “some stuff I probably shouldn’t announce just yet,” Hozier said. It is hard to keep up the kind of pace Hozier has established over the past few months. But with such a genuine, incredible amount of talent to draw from, it would not be surprising if he managed it. After an electrifying performance on Saturday Night Live that reached millions of viewers, Hozier will likely draw even more attention with his raw songwriting and impressive vocal abilities. There is just something about Hozier’s music, something transcendent and compelling and wild – something the music world has not seen in a long while.